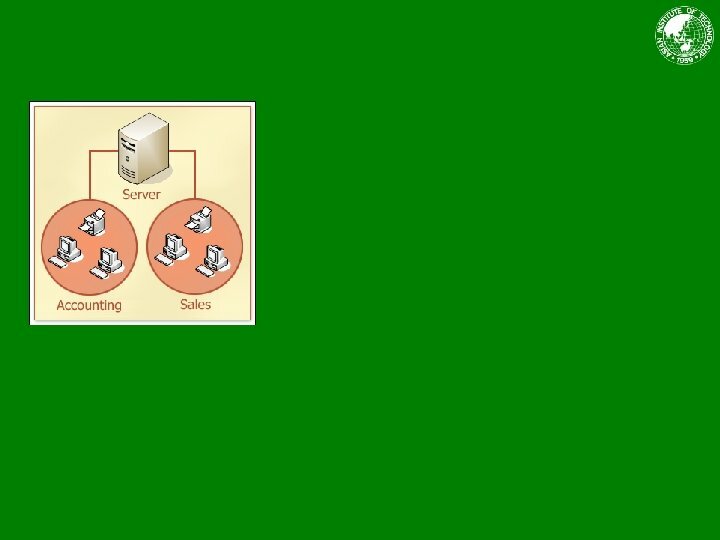 Controlling the arrangement of shapes in a Visio diagram is the key to communicating information. Clear shape arrangement strengthens the significance of individual shapes and crystallizes the relationships among shapes. Diagrams are great because they communicate more efficiently than a bunch of text. But some diagrams fail because of the sloppy positioning of their shapes. 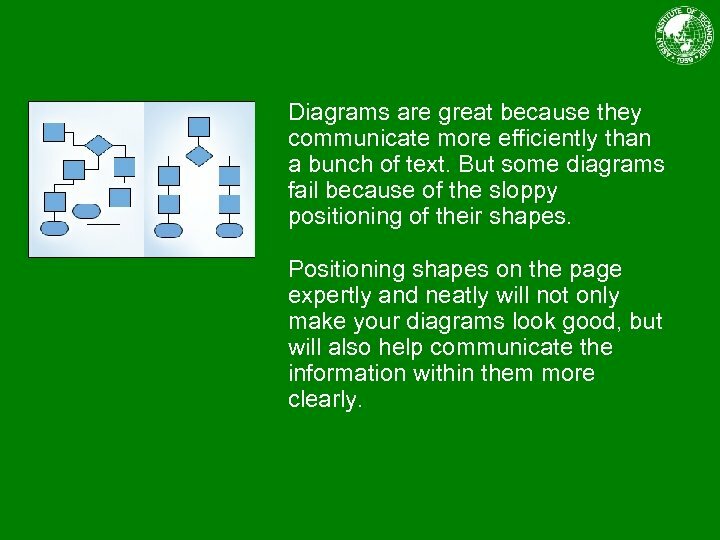 Positioning shapes on the page expertly and neatly will not only make your diagrams look good, but will also help communicate the information within them more clearly. If a diagram contains many shapes, it has the potential to get cluttered. 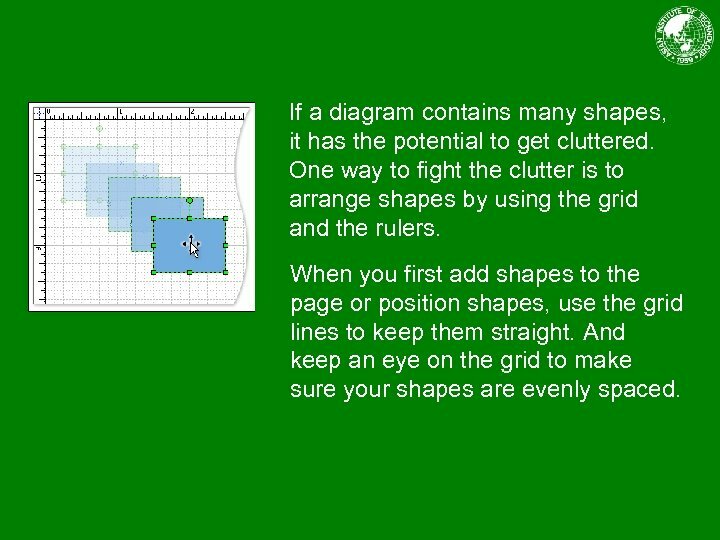 One way to fight the clutter is to arrange shapes by using the grid and the rulers. When you first add shapes to the page or position shapes, use the grid lines to keep them straight. 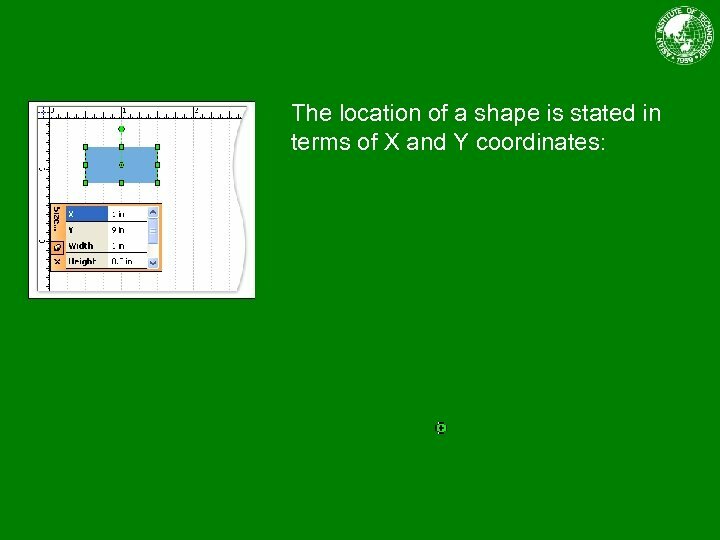 And keep an eye on the grid to make sure your shapes are evenly spaced. The rulers are also invaluable. 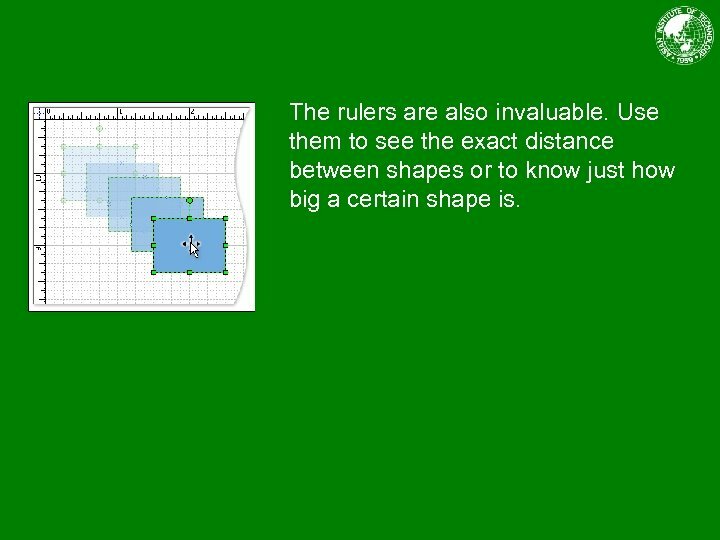 Use them to see the exact distance between shapes or to know just how big a certain shape is. 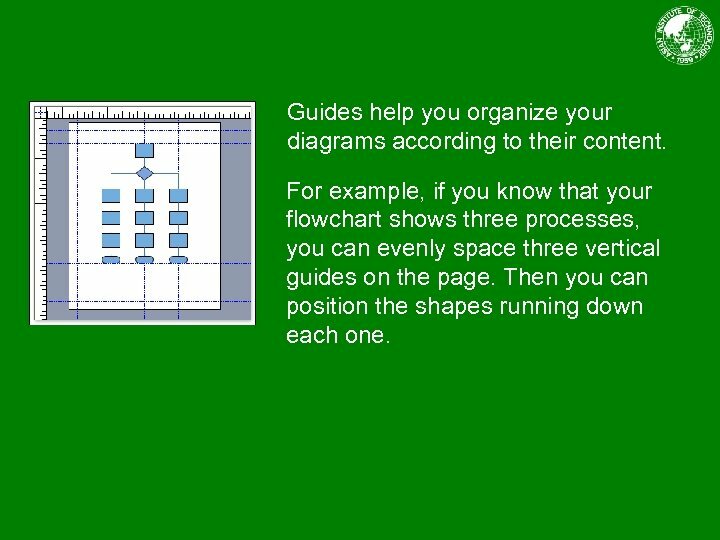 Guides help you organize your diagrams according to their content. 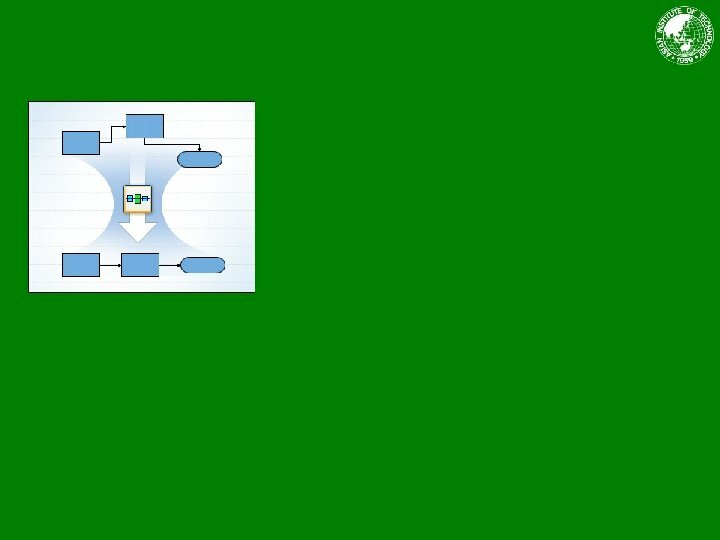 For example, if you know that your flowchart shows three processes, you can evenly space three vertical guides on the page. Then you can position the shapes running down each one. 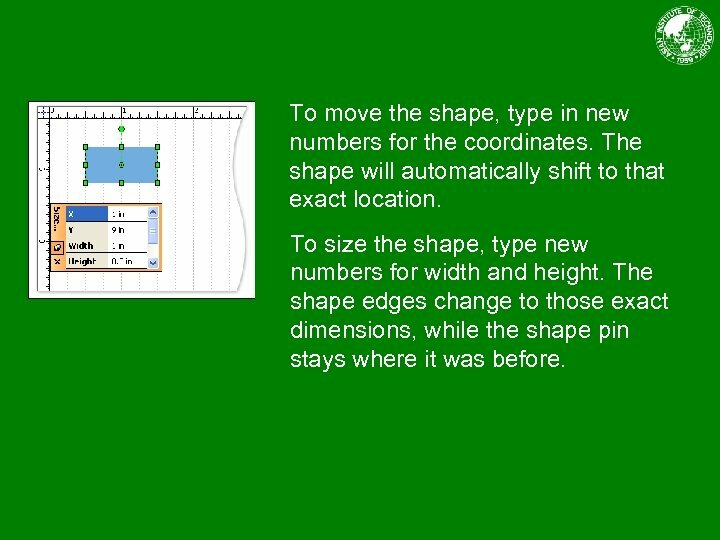 To move the shape, type in new numbers for the coordinates.  The shape will automatically shift to that exact location. To size the shape, type new numbers for width and height. The shape edges change to those exact dimensions, while the shape pin stays where it was before. 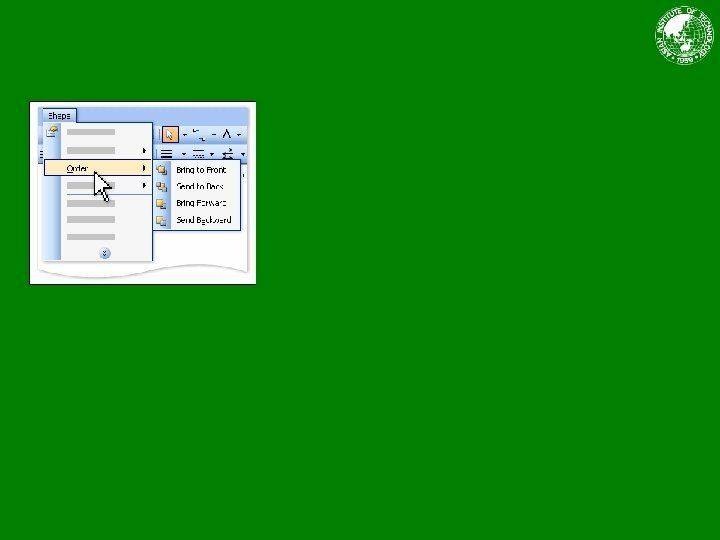 In the example you see here, a vertical alignment button got these shapes in line. 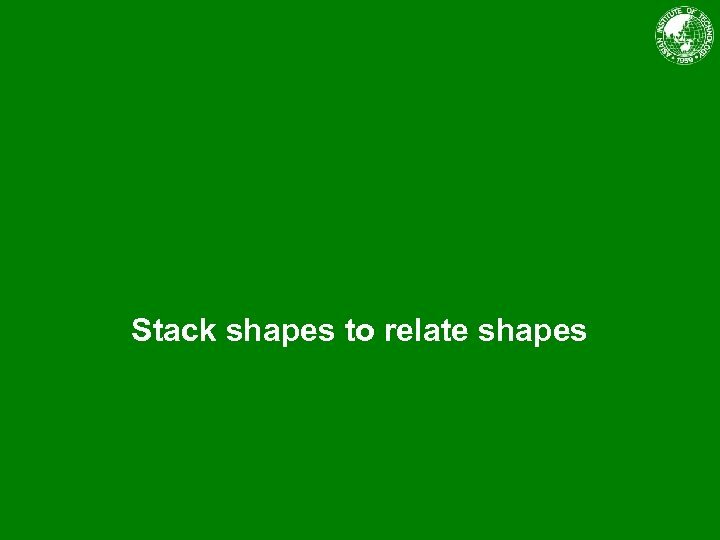 It’s like a sheepdog for shapes. Let’s say you’ve got the shapes you want on the page, but one is too close to another, and another is too far away. The ideal arrangement is to have an equal amount of space between all the shapes. Sometimes a shape is placed right and sized right but still needs one good turn. 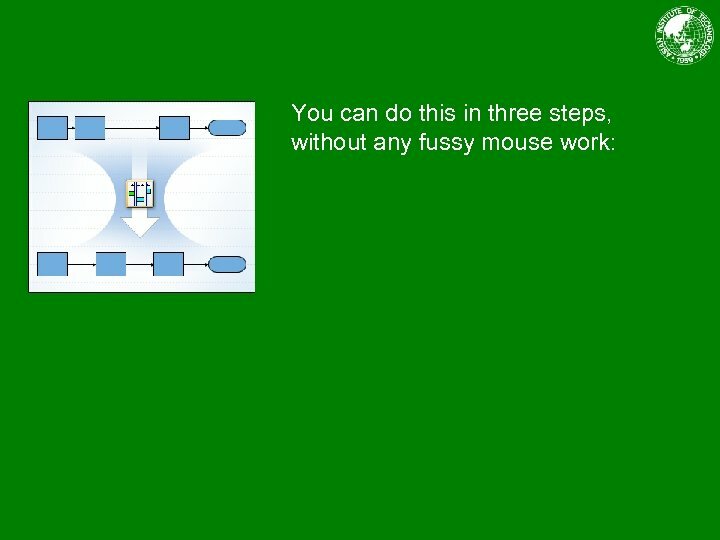 For example, you might want to rotate an arrow to point where it should. 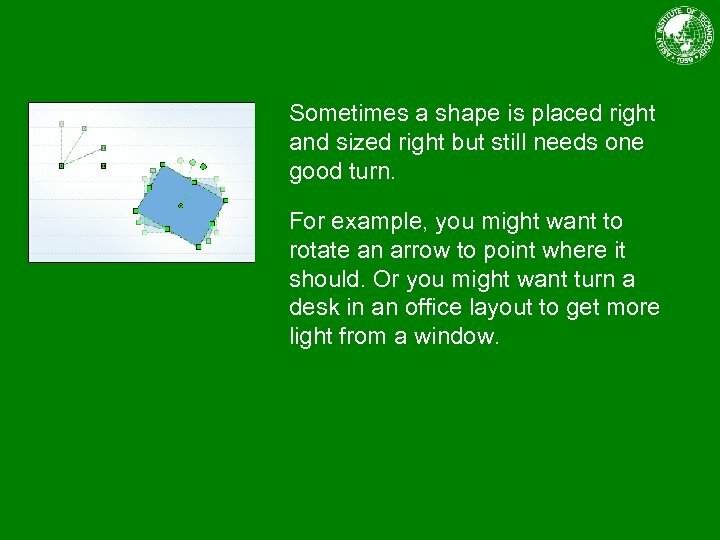 Or you might want turn a desk in an office layout to get more light from a window. To rotate 2 -D shapes, use the green rotation handle. Just click and drag the handle to the new position. 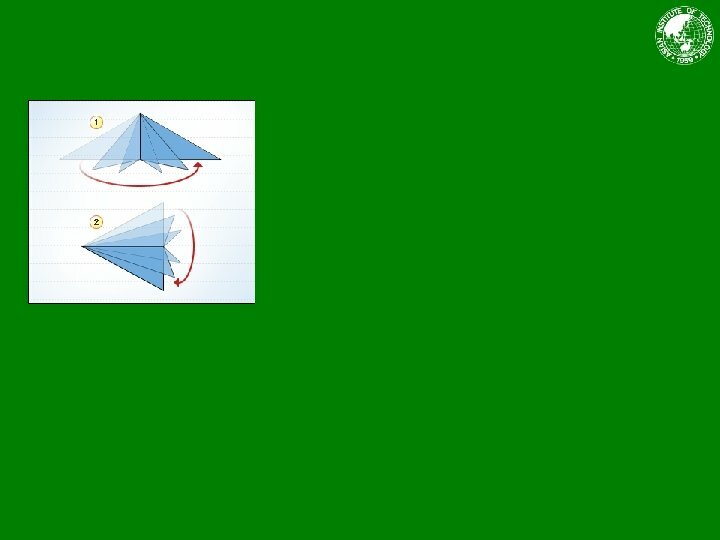 To rotate 1 -D shapes, click and drag either the beginning point or the ending point, swinging the shape around to where you want it. You can flip shapes horizontally or vertically. 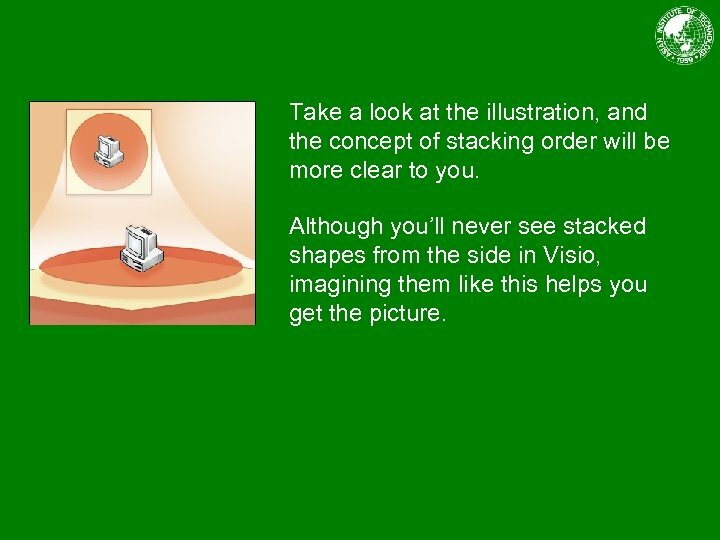 Take a look at the illustration, and the concept of stacking order will be more clear to you. 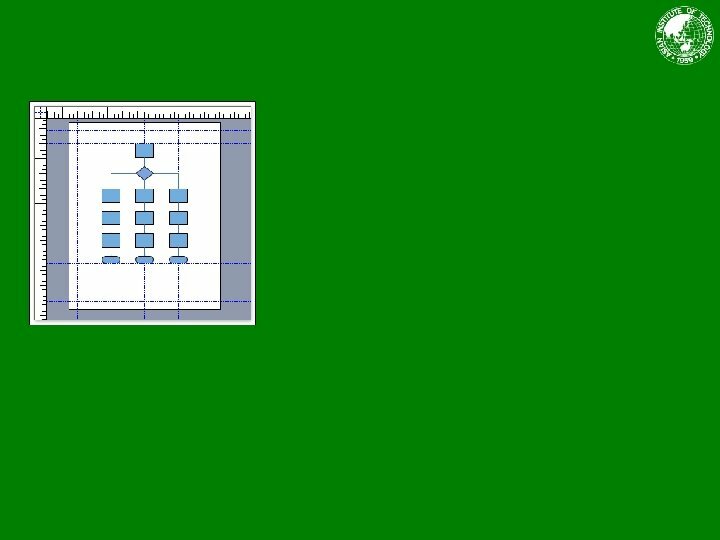 Although you’ll never see stacked shapes from the side in Visio, imagining them like this helps you get the picture. By default, Visio puts shapes in a stacking order as you add them to the page. 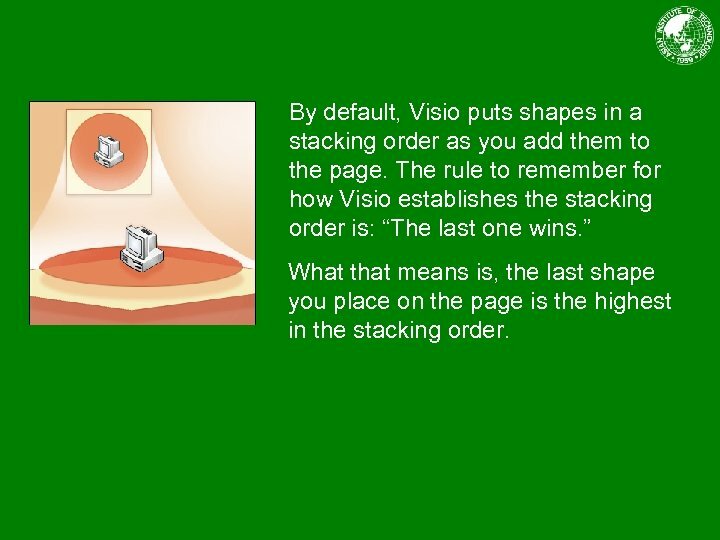 The rule to remember for how Visio establishes the stacking order is: “The last one wins. ” What that means is, the last shape you place on the page is the highest in the stacking order. But this rule doesn’t always work to your advantage. For example, what if you added the computer, and then added the circle? The circle would hide the computer, and that’s no help. 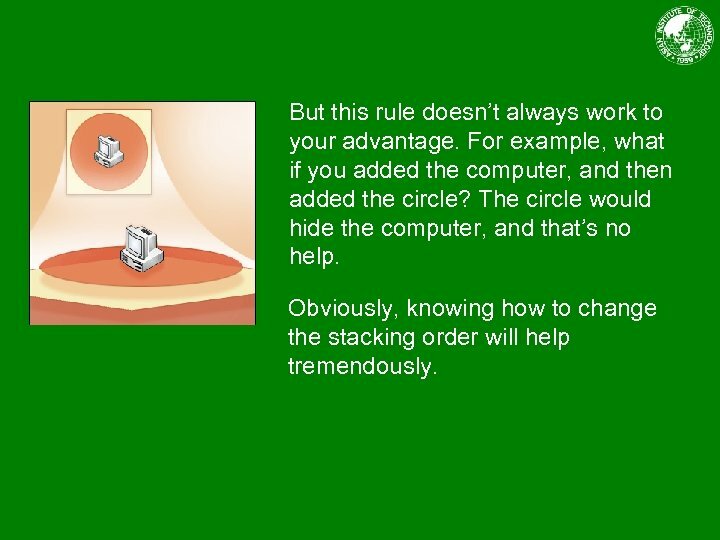 Obviously, knowing how to change the stacking order will help tremendously. 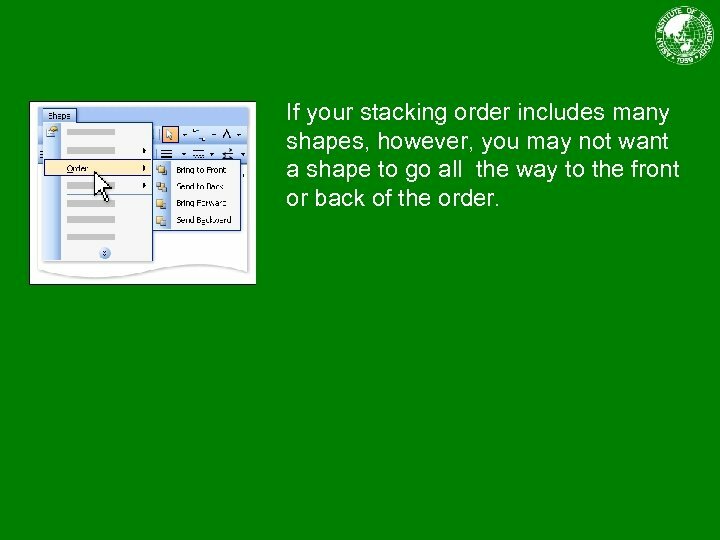 If your stacking order includes many shapes, however, you may not want a shape to go all the way to the front or back of the order. Suppose you’ve made a map with several buildings clustered together. But oops…The cluster of buildings is on the wrong street. You need to move all the buildings down one block. You could select each one and move it down separately. 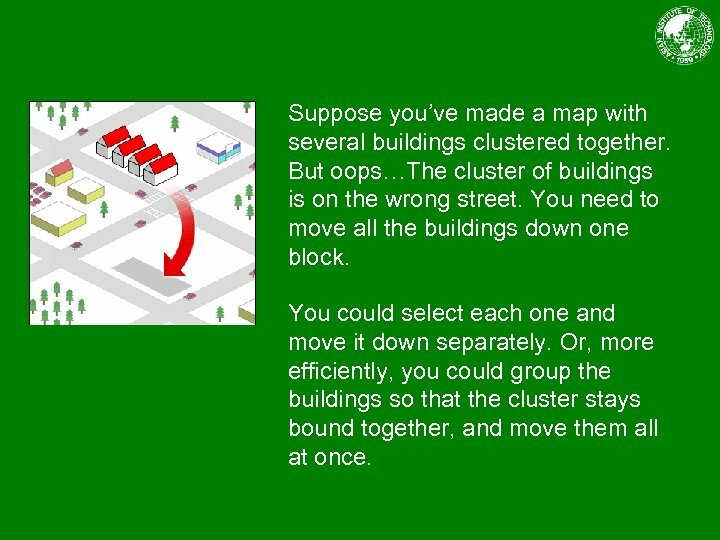 Or, more efficiently, you could group the buildings so that the cluster stays bound together, and move them all at once. 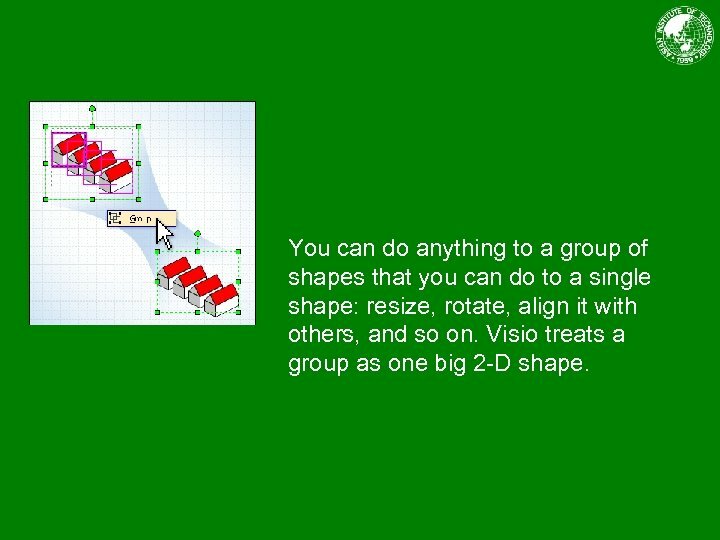 The first step in grouping shapes is to select the shapes. You can do this by holding down the SHIFT key while you click them, or by dragging a selection net around them. 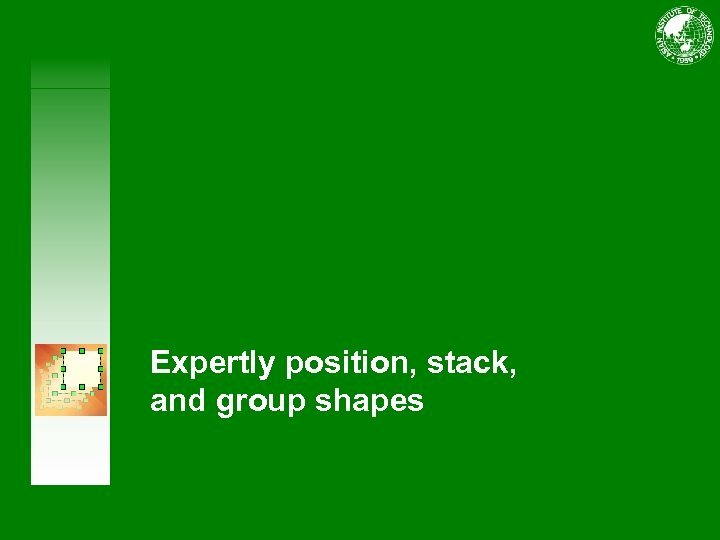 You can do anything to a group of shapes that you can do to a single shape: resize, rotate, align it with others, and so on. 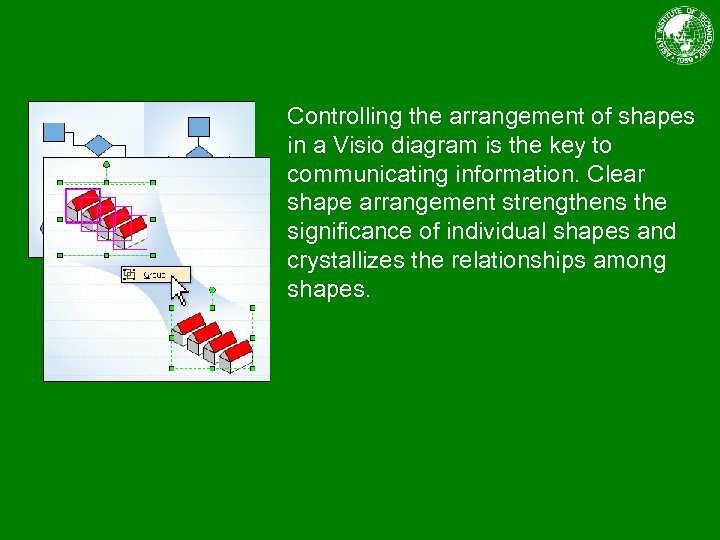 Visio treats a group as one big 2 -D shape. Even after you’ve grouped shapes, you can still edit just one of the shapes in the group. 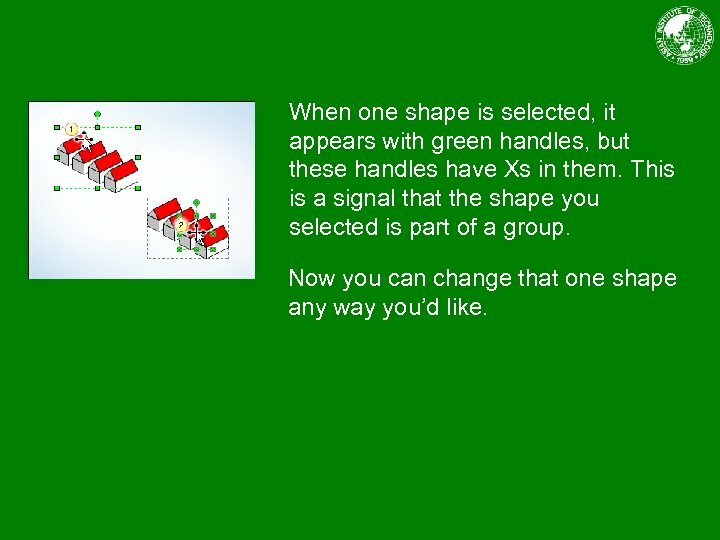 When one shape is selected, it appears with green handles, but these handles have Xs in them. 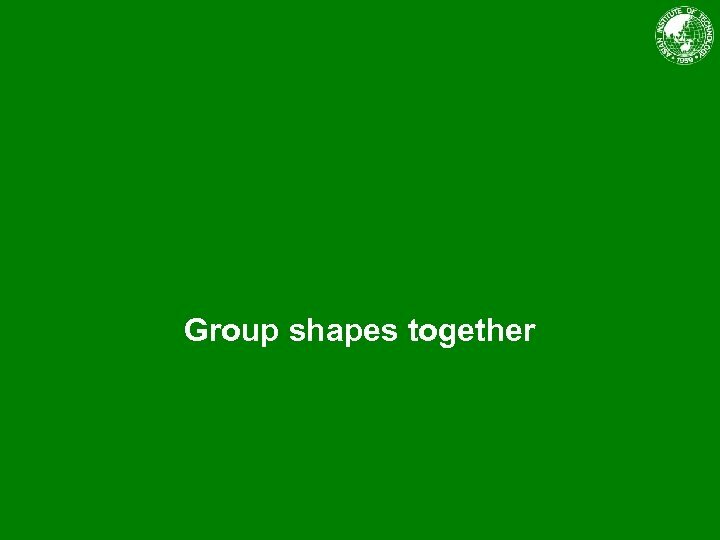 This is a signal that the shape you selected is part of a group. Now you can change that one shape any way you’d like. You might have worked with grouped shapes without knowing it: Many of the shapes in Visio are actually groups already. How did the shapes get grouped? Designers made each shape by hand, and then grouped the shapes to make them easier for you to work with. This factory shape is a perfect example.